No words to describe this great soul Michael Clarke………….even in this great big day of winning World Cup Clarke did not forget his little bro Phillip Hughes who died couple a month ago……….he bid him above while leaving the field raising the bat high as this is his last one day International match. “I’m sure everybody standing on this stage will say we played this World Cup with 16 players,” said Clarke. Australia captain Michael Clarke dedicated Sunday’s World Cup final triumph to Phillip Hughes, the team-mate who died after being hit on the head by a bouncer last year. Clarke, who made 74 in the seven-wicket victory over New Zealand in what was his last one-day international, described Hughes as the squad’s 16th man at the six-week tournament. 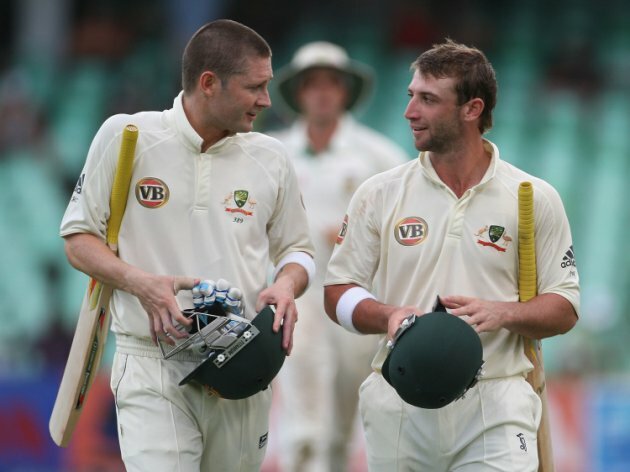 Clarke will continue to play Test cricket and vowed to keep wearing a black armband in honour of his close friend. Australia batsman Hughes died on November 27 last year, two days after being hit on the head by a Sean Abbott bouncer in a first-class match in Sydney. Its more than 24 hours passed ever since we witnessed one of the most horrible Indian performances in cricket that too in semi final……………none of the sector of the game [ batting, bowling, fielding] India had outsmarted Aussies. Thought to keep mum about the match played yesterday…………..reading reviews and reports of the match in newspaper and internet throughout the day still cannot believe that we are out of the tournament. India’s performance came as a shock to me after being non beaten in the tournament so far. Havoc criticisms are coming to and fro, which they truly deserve. Only enthusiasm and over confidence cannot win big matches there is a word called “experience” as well which “sometimes” serves best rather than the rest of the two[enthusiasm and overconfidence]. Thats why I am boasting right from the beginning that we needed old fellows in this tournament, Harbhajan Gautam Gambhir Zaheer Khan Veerendra Shewag were absolutely needed so far experience is concerned. Nowhere the depth has been seen………………bowling batting captaincy everything seems very superficial, very vague. Losing or winning a toss is a sheer chance of luck, no one can foretell that but should have the right strategy to bind the batsman within chase-able target. When chasing a sum total of three hundred something we should have the right mindset…………..why should we let the bowlers set upon our confidence so that they can rule us out? For this one need experience………. I still remember last World Cup Final match Gautam Gambhir’s 97 run was absolute match saver. It was also a nerve straining thriller so far chasing 274 runs are concerned. Cannot take a semi final so easy where so many people’s sentiments are included 🙂 …………………..so better to call it a charity to Australia so that hosts duo can play the final match. Its wiser to say that its Phillip Hughes spirit which helped Australia to perform so brilliantly rather than blaming Anuska Sharma for debacle of Virat Kohli. Instead of playing the rubbishes[ IPL, T20 and what not] throughout the year India should concentrate on International Matches thoroughly. We cricket lovers will write for hours, analyze day in and day out but do Team India really bother to improve or they will dishearten the very same time when they are needed to be dazzled by their performance? Mr Cool : Highly Philosophical !!! 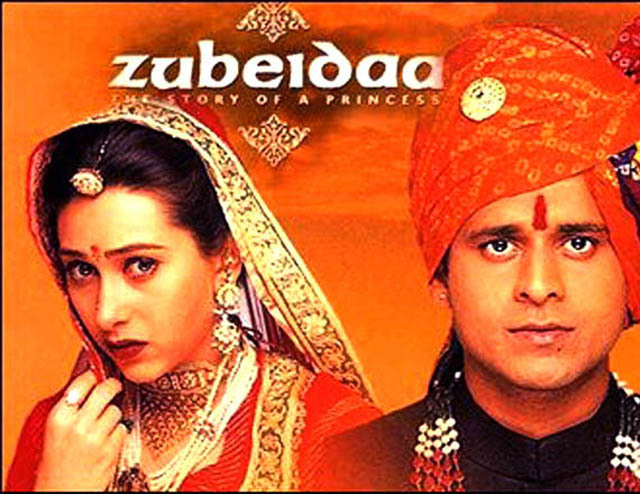 Karisma’s Zubeidaa was an absolute delicate movie with all the masterstrokes added into it. Right from Director Shyam Benegal, Rekha’s acting as Mandi didi Manoj Bajpayee’s subtle yet powerful role , Lillette Dubey’s small yet important character play Rehman’s music and overall Karisma’s powerful and passionate acting all made the movie a wonderful saga of love , romance, passion and betrayal. Karisma looked drop dead gorgeous in the movie throughout. This is all about the movie …………..here I will tell a small incident which took place in the set of the movie. Many of you must have heard about it still I want to mention it once more. In between the shots Karisma was re-doing her make up while unwillingly and absolute unintentionally one individual of the make up crew sprayed deo spray directly on Karisma’s eyes. She was rushed into the nearby hospital and for prompt medication her eye was saved or else it could have met permanent damage. The individual was horrified to anticipate the aftermath for his callousness but Karisma Kapoor said nothing to that person instead she took his side and told others not to make a big scene because it was unintentional. Sound strikingly unfamiliar so far Karisma’s temperamental attitudes are known to everyone. Maybe there were ample reasons to be temperamental but nobody bothered about that. This very incident at least slightly can reveal her compassionate side to the rest of the world. She had ample ground to react but she did not do it as she knew it could put that very person into trouble. Some incidents really came to us as an eye opener for sure. 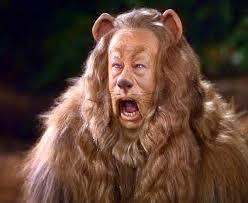 Even the cowardly lion is shocked by the English cricket team’s lack of fight! Thought to go for a prolonged hibernation since finding no inspiration around for further scribbling. Was scrolling some sport news here and there, suddenly I discovered Ab Devillers self contradictory statement. Few days back after the disastrous loss against Pakistan Devillers lamented that it might be an overestimation of his team members ability which brought two loss in a row. We were pretty okay with the statement since it happens quite often when players perform under-weather. Suddenly after three days De Villers jumped out with all his enthusiasm and claimed that he has got the best team so far cricket is concerned. I know this sport news has found a handsome amount of gigglers. I got the hunch after reading the news and found that my hunch is correct……………..he is an Aquarius. Who else can jeopardize like this way with his statement. Its the time which can tell which statement was an inflated one the former or the latter? 😀 Best of luck to the protean.